YD-2.4SET-RM-AWD2　YD-2.4コンバーションリアミッドモーター”鎧”AWD仕様セット　シャーシ・リニアプラス(Ver.2) -	RC CRAZY CUSTOMIZER "TAIL-SLIDER"
★Plus set of YD-2.4 "YOROI" rearmidship motor conversion for YD-2. 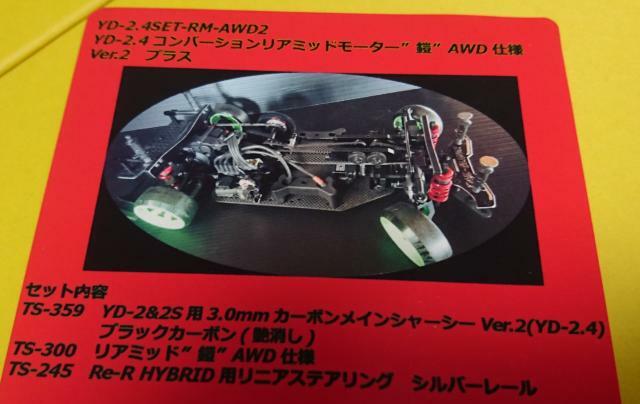 kit of YD-2 from YOKOMO, underside parts (front knuckle, driveshaft, etc.) for AWD, 38Tor39T pulley, etc... refer to instructions please. 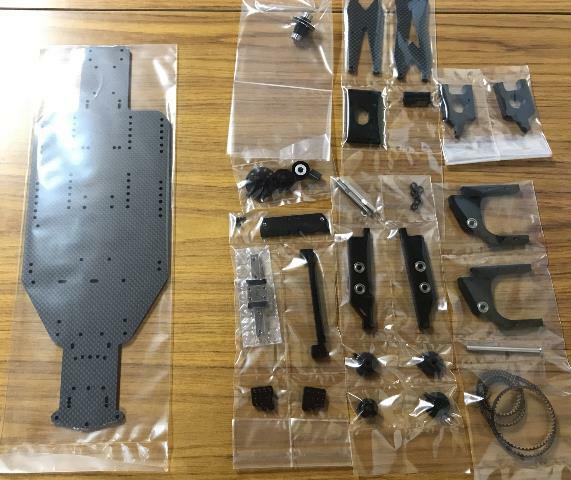 if use 3parts (TS-292(carbon upper deck set for YD-2.4"KABUTO" frontmidship), TS-318(150mm belt), TS-321(312mm belt)), can change YD-2.4 frontmidship motor conversion for YD-2.